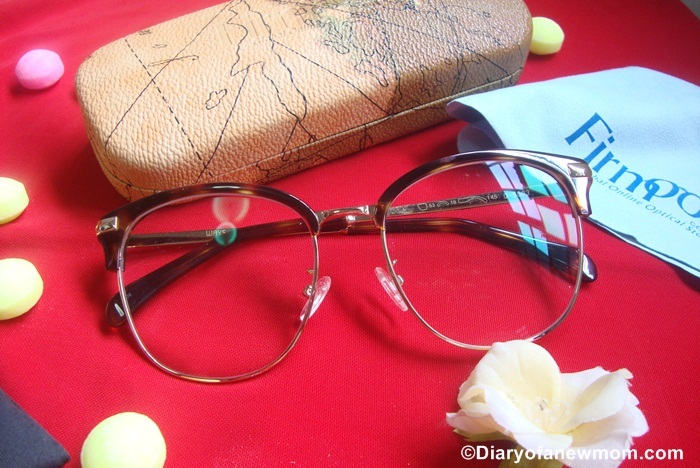 I want to share this GlassesShop review as I really like the fashion eyeglasses I received recently. Last year I received sunglasses from GlassesShop.com and I really love it. I still use the same pair without any problem. This year when I received the opportunity to try their fashion eyeglasses, I was really happy because I know their products are with excellent quality. GlassesShop.com is an online optical store which you can buy glasses online for really affordable rates. However, don’t measure the quality with its price. Though the eyeglasses at GlassesShop.com are really affordable, those eyewear are with high quality too. You can order prescription sunglasses, fashion eyeglasses and prescription eyeglasses online and easily when you visit GlassesShop.com. Other than the quality, GlassesShop is full of stylish frames and designs which you can select easily which is matching with your face. This time, I tried their fashion eyeglasses and really like the pair I received. However,with GlassesShop you can also select prescription eyeglasses according to your prescription.You can select lenses from single vision,bifocals or as progressive.Anyway, now it is time for another eyeglasses review! Among many stylish glasses to select, I liked the design Humphrey Rectangle clip-on – Golden and actually it is really beautiful. I like this pair because it comes with a pair of removable polarized magnetic clip-on. That is really easy to use when you want to use the pair of glasses as sunglasses. How to order eyeglasses from GlassesShop.com? 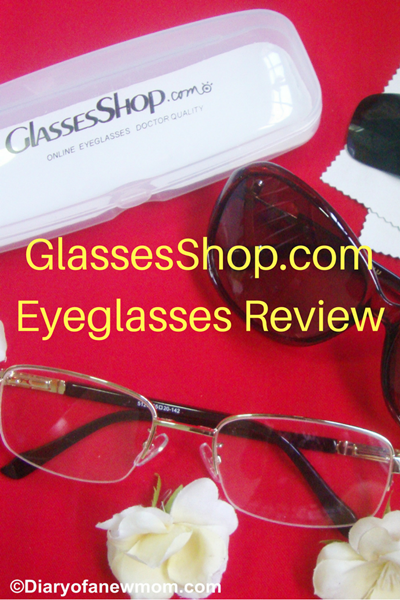 The ordering procedure of GlassesShop is really easy and convenient. You only need to have an account with them to start your order. 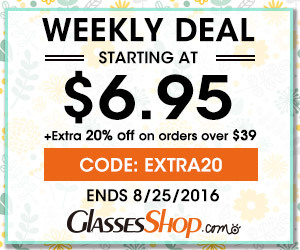 It is absolutely easy to sign up with GlassesShop.com. Once you created your account, you can easily use the try on feature which is available for any eyeglasses you buy online from GlassesShop. I selected the pair of glasses named as Humphrey Rectangle clip-on – Golden. With virtual Try on widget, it is easy to select any pair by looking at how the eyeglasses look when someone wear it. Once you select your perfect pair, then follow the easy steps towards the order. Once you ordered, it will take few days to deliver. However it is worth the wait as the eyeglasses are with quality and worth the money you pay. After few days of order, I finally received my GlassesShop fashion eyeglasses. It is absolutely beautiful and comfortable on me. The removable polarized magnetic clip on is really helpful and with that I can use this eyeglasses outside as a pair of sunglasses. It is ready as sunglasses. I selected this design because of the golden color frame and totally love the stylish design. My eyeglasses also came with a protective case and a cleaning cloth. Overall I am happy with what I received. It is really worth the money. 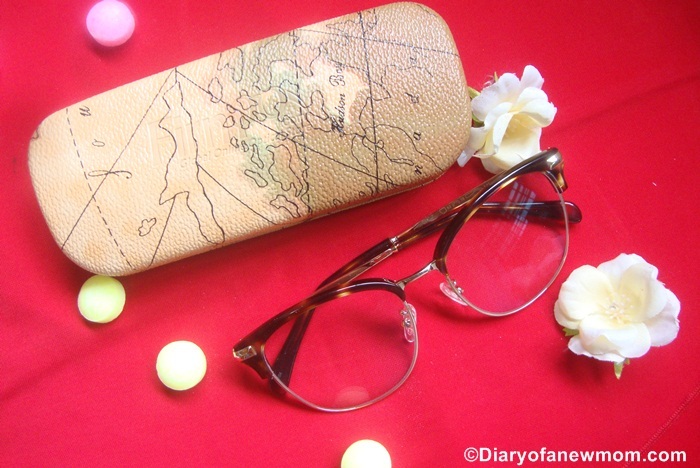 My eyeglasses are light weight and easy to take with me anywhere. I still use the sunglasses I received last year and the pair is still in good condition. So, I am sure about the durability of these GlassesShop eyeglasses. If you look for buying eyeglasses online, then check GlassesShop.com for many stylish designs! Here is a special coupon code for Diary of New Mom readers! Use the coupon code GSHOT50 to enjoy 50% off on eyeglasses and sunglasses with free lenses (sale frames excluded). If you are looking for fashion eyewear discount code or prescription eyewear discount code, use GSHOT50 at the checkout to enjoy the 50% off! Disclosure: I received this pair of eyeglasses from GlassesShop.com in order to facilitate this review. However, all opinions are mine.